Moving is stressful. There are so many things to worry about and keep in order to keep the move running smoothly. On top of that, it can be expensive to move. When you consider costs like the moving truck, movers, supplies, and deposits, it gets expensive quickly. One of the best ways to save on moving costs is to get free moving boxes to pack your belongings. 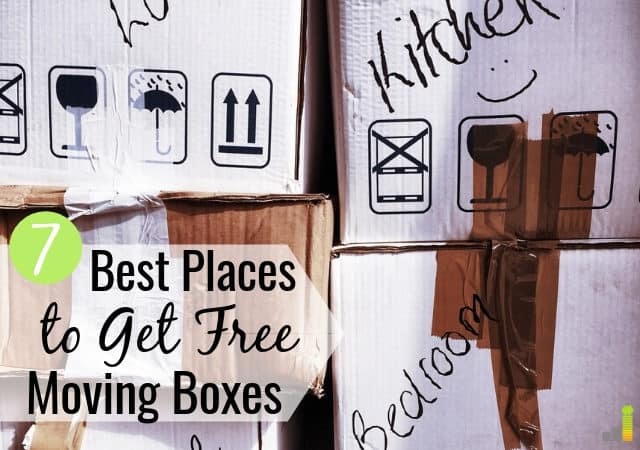 If you are moving this year, this post covers the best places to get moving boxes for free or cheap and spend your money elsewhere. If you don’t know where to get cheap moving boxes, there are plenty of places you can get them. Below are the seven best places to find moving boxes for free. Walmart always has a ton of boxes that you can use for free. When the third shift staff stocks shelves at night, they end up with a lot of empty boxes. If you come to the store just as they are starting to stock the shelves, you can get as many free boxes as you wish. To do so, push around a cart and fill it up with empty boxes. With so many sections and products in the store, you may even get all the boxes you need in one night. Just walk through the aisles and pick out boxes you want. Since their inventory turns over so quickly, they need to stock a few times per week. This means they often have boxes multiple times each week rather than on one specific night. Walmart has over 5,000 retail locations, according to their website. Many of those locations are superstores that are open 24 hours per day, so there’s no need to worry about them being closed. Dollar General has a lot of small or medium-sized boxes available for you to take for your move. Some stores keep them in a large basket in the back of the building and take them out to the recycling bin whenever it gets full. Contacting the store ahead of time is the best way to go about getting these free boxes. Some locations may not like customers going in the back section of the store without supervision. Make sure you understand the expectations are of each store before taking boxes. A short conversation with a store manager is often the best way to let them know you need cheap moving boxes. If you pick the right day, bars and liquor stores are a nice spot to get free moving boxes. Determine the day your local store gets their shipment and go that day. It’s best to ask when they receive shipments so you arrive on time rather than too early (or late). Some of the big drinking holidays like St. Patrick’s Day and New Year’s Eve or even the Super Bowl could be a great time to get boxes. Most bars and liquor stores stock more products than normal, so this is a good opportunity to get moving boxes for free. 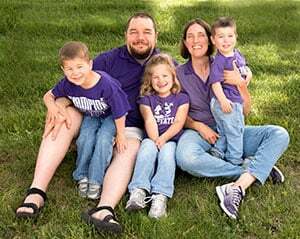 You may be surprised to learn that Craigslist is a great place to get free moving boxes. But it is! Simply type in ‘free moving boxes’ and the site will highlight available options. It’s great because somebody may have just moved and wants to get rid of boxes. You may be lucky and get boxes that haven’t been torn down yet. That helps you save on packing tape as well. It’s possible you may have to travel a bit to pick them up, but some people on Craigslist are willing to meet at a central location. When you have time, keep an eye on the site as new things are added all the time. Like Craigslist, Facebook is another website to look for free moving boxes. Depending on where you live, Facebook might have a few more options than Craigslist. The Facebook Marketplace is very popular and many people use it to exchange or sell items locally. If you want to get rid of items before the move, consider selling them on this platform as well. You can also try to do an exchange so you can get free boxes from someone else. Fast food restaurants recycle their boxes, making these a great option to get moving boxes for free. I remember when my husband worked at Culver’s and on two different occasions, he was able to get boxes for us to use for moving. Make sure you check for the restaurant’s delivery day or days, and you can add a ton of spare restaurant supply boxes to your stash of moving boxes. 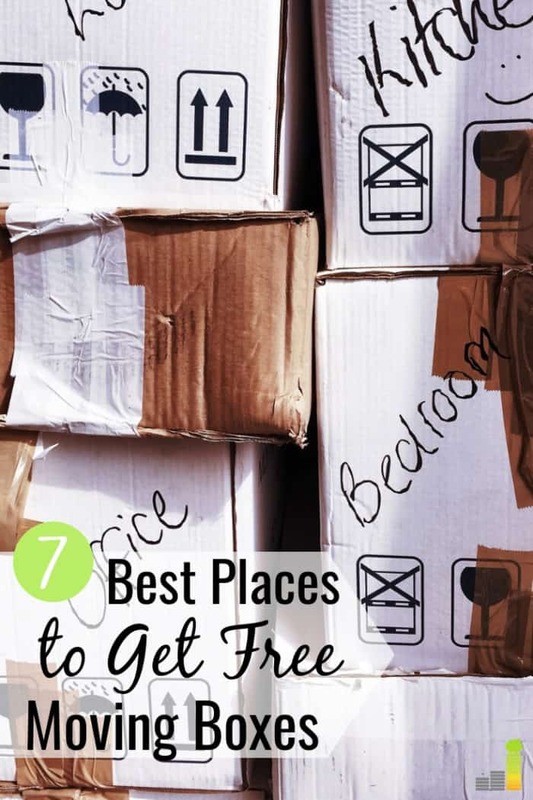 You may ask yourself ‘what are the best places to get free moving boxes near me?’ and not know where to start. Your local post office is a good option to get moving boxes. Some post office locations let you reserve boxes online for free. This saves you from having to figure out the best time to show up and risking leaving empty-handed. Post office boxes are typically sturdy and are often free of tape or permanent markings. Ask around. Ask friends, family, co-workers and neighbors if they have any leads on free moving boxes in the area. Also, ask your friends on social media. One post on social media can make a big difference. Call different stores. This list of stores is just a start. Many stores are happy to get rid of empty boxes. Focus on bigger boxes first. Small and medium-sized boxes are a little easier to get. Places like Walmart can set larger ones aside for you, but you may need to call ahead. Get as many as possible. Once you find a great spot that provides moving boxes for free, stock up to avoid having to go back. You also never know how long the boxes will be there, so try getting all the boxes you can at once. Take the discounted price. If all else fails, some moving companies offer you a discount on boxes if you use their company for your move, so take advantage of that. Moving is a stressful and expensive time. Applying a little creativity is a great way to save money, and there are countless places to get free moving boxes to help cut costs. 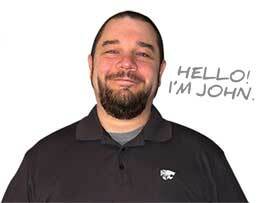 Retail stores and those who have recently moved are typically happy to unload empty boxes. With a little work, it’s possible to get all the boxes you need for free. Where do you look to find free moving boxes? What other tips do you follow to save money on moving costs? How much did your last move cost?